Well, she’s quite busy, you know. And there’s a time difference, she’s probably asleep. So while I wait for the call that will surely come, how about I tell you a bit more about this small, independent brand. Based in Devon, Lazy Jacks is a family firm which started out back in 2002 with just one design. Though the range has grown over the years, the quality has not been compromised – I can vouch for this as a longtime customer. Eleven years later, the Lazy Jacks catalogue includes brilliant quality hoodies, sweats, tees and fleeces for adults and children – and not only do they look great, but they last the distance. I know, when I buy my kids Lazy Jacks tops, that they’ll get a couple of years of abuse out of them (I buy big) and they’ll still be hand-on-able to my sisters’ kids. Here’s a few pictures of the kids putting the tops through their paces at Ogmore Beach today. As you can see the tops are great for this time of year – warm and breathable, but also they look brilliant – the colours are strong and deep, and the Lazy Jacks branding is distinctive without being overwhelming. You can see a few more shots of the clothes in action on a colder and blustery day here, and I’ve also requested some catalogue images which I’ve put at the bottom of the post, so you can see the tops more clearly. I already know that Lazy Jacks clothes wash well, even on repeated hot cycles. Why do I know it? Because here’s a picture of an older Lazy Jacks, looking, well, pretty normal after a day’s wear on my littlest. After a couple of years of this sort of treatment, I have to say it still looks pretty good after washing. Obviously, having only had the new tops for a couple of weeks, they’ve only gone in the machine about 83 times so far (please tell me it’s not just my kids???) so I can’t give you a long term report; but early signs are that they’re as hard wearing as previous seasons’ offerings. All in all, I’d say that Lazy Jacks clothes are well worth the price tag. These tops all retail at around the £30 mark, which to be honest is more than I spend on any other item of kids clothing. But because I know I will get two full years wear out of them and still be able to pass down, I think it’s well worth paying that bit more than for ‘high street hoodies’ which will be fraying at the edges after a few hot washes. So, where can you get them? Lazy Jacks are available in independent shops throughout Devon and beyond, though if you’re not lucky enough to live in the South West your best bet is probably to order from their online shop at www.lazyjacks.co.uk. Service is good, delivery is fast and returns/exchanges are no fuss. If you’re a fan of high quality, practical clothing that looks great, I’d definitely recommend you give Lazy Jacks a try – and not just for your kids! *maybe not several thousand. Though my stats have gone up a bit lately, so possibly, say, five? 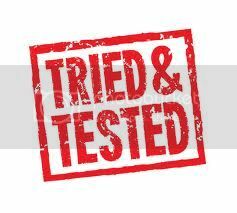 March 2014 – linking up with my new discovery ‘Tried and Tested Tuesday’ over at FamilyFever – why not head over for some other ‘tried and tested’ posts!